As if your favorite portable, poppable and handheld snack couldn’t get any sweeter… it just did. 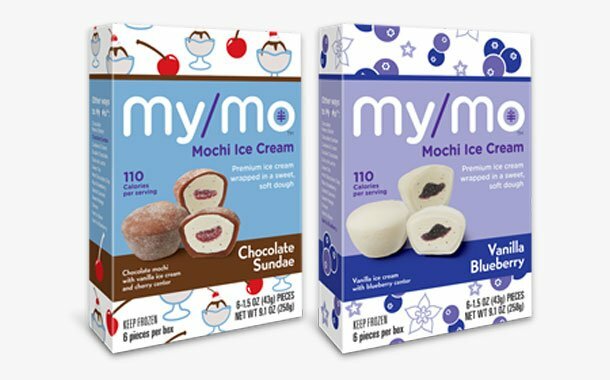 Coming to a supermarket near you – My/Mo Mochi Ice Cream is thrilled to present a new range of triple-layered mochi ice cream, which will be released in early 2019. That’s right, you heard it: bite into the chewy, gooey mochi dough through the creamy deliciousness of premium ice cream and into the sweet surprise in the center. The three layers of goodness will truly blow your mouth’s mind. This three-layered range will initially consist of four flavors: Chocolate Sundae, Chocolate Peanut Butter, Vanilla Blueberry and Dulce de Leche. Wanna know what’s even better? Each mochi ball will still be around 110 calories per serving. Read more about these tri-textural treats here. You’re welcome.